Join us for an evening of connections, empowerment and of course WINE! Networking with like-minded influencers in your community. Make a business connection, a referral connection or possibly a lifelong friendship. Chelsey from Concrete Blonde will be talking to the ladies about confidence in hair. Stylists Brooklyn, will be onsite to showcase new colors and quick styles. 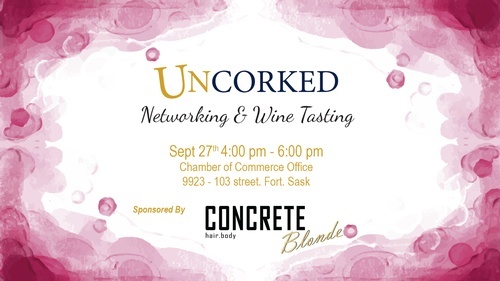 Be sure to register as Concrete Blonde will be providing a gift bag to each attendee. Thank you to our sponsor Concrete Blonde.